If we run a multisite or a community site based on WordPress, the most common problem we all have is the spam registrations. Is your network getting too much spam? are you fade up with marking each and every spam user individually. Do the spam registrations look familiar? 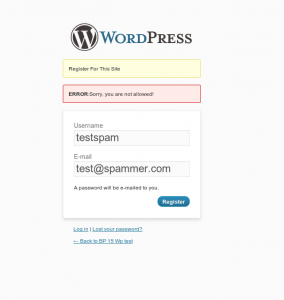 Well, I am presenting you the WordPress Ban Registration Domain plugin which will help you curb the spam registrations. 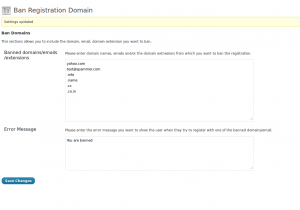 This plugin allows you to blacklist emails or domains or even the domain extensions. 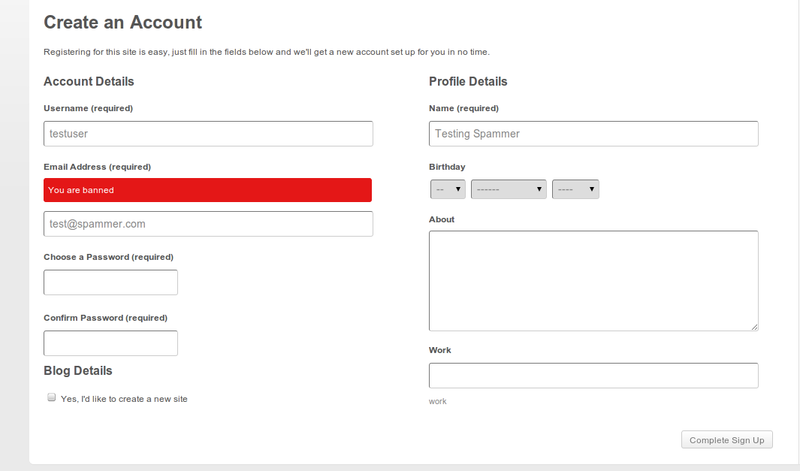 It is very flexible and may cut a lot of spam registration. 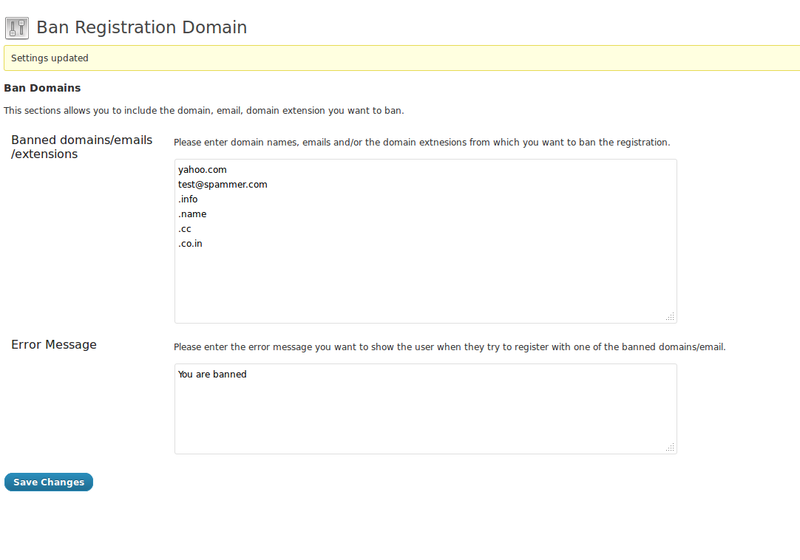 If you want to block all registrations from .info domain, all you need is to include .info in the settings. Let us say you want to block registration from a particular email spam@spammer.com, just include it in the settings and relax. Another option will be blacklisting by domain names. Yes, you can blacklist individual/multiple domains too. 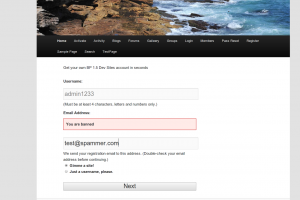 WordPress Ban Registration plugin is simple, fast and very efficient with the flexibility to allow you ban users by email or domain or even domain extension. As you see, the plugin works with WordPress/WordPress multisite and BuddyPress. 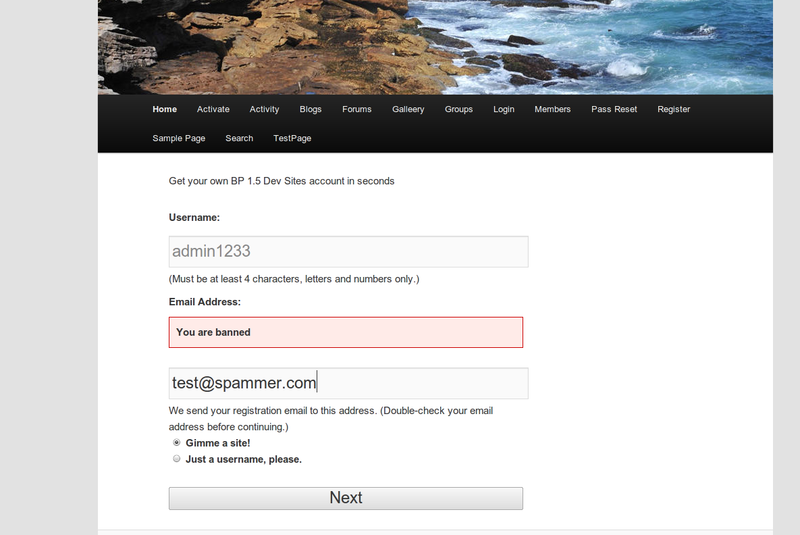 The plugin admin page allows you to save the ban information and message. Here is from my test site. 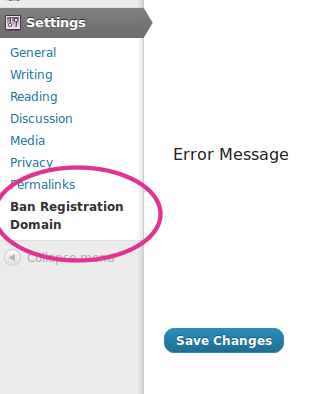 You can access the admin page from Dashboard->settings->Ban Registration Domain shown below. 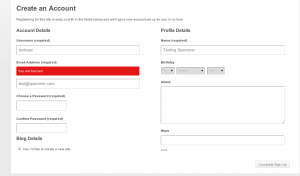 This is a premium plugin for now, so you will need an active membership to download it. This plugin may not curb the spam registration completely but I am sure it is a step in the right direction, and will cut a lot of spam registrations.